The Mitsio Islands are around 50km northeast of Nosy Be and this archipelago is host to some truly amazing beaches, great diving and one top luxury resort on the island of Nosy Tsarabanjina. 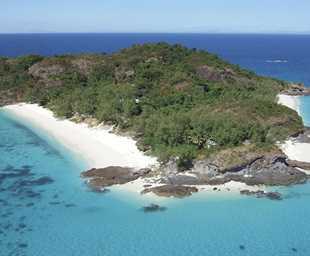 Nosy Tsarabanjina is a beautiful small island full of volcanic rocks, lush green vegetation, baobab trees, coral reefs, and perfect white beaches with clear blue water. It is home to Constance Tsarabanjina Lodge which is one of the top accommodation options in Madagascar.